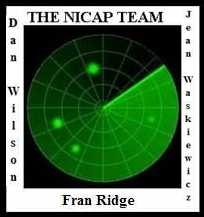 RADCAT is a revitalized special project now being conducted jointly by NICAP & Project 1947 with the help and cooperation of the original compiler of RADCAT, Martin Shough, to create a comprehensive listing of radar cases with detailed documentation from all previous catalogues, including UFOCAT and original RADCAT. This case cannot be found in the original Blue Book files, the Randle PBB Exposed, or in the BB Microfilms. Brad Sparks had it listed in his revised Catalog of Comprehensive Project Blue Book Unknowns. It is now listed onsite as a sighting from aircraft, radar, and E-M effects case. In May of 2005 Bruce Maccabee provided his paper from the September, 1978 MUJ, regarding FBI documents in his possession. (See link below). It makes a little more sense out of the observation if the track was picked up by an AWACS plane rather than just on the weather or sea-search radar sets of a regular P2V. The APS-20 was an old standby of airborne warning radar systems.